2. 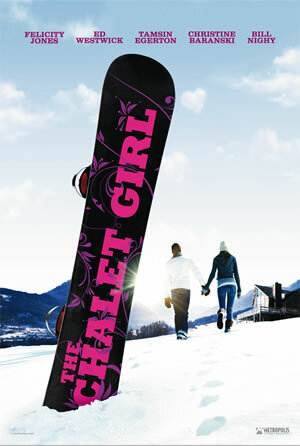 Chalet Girl - Airing on the romcomdrama side, this movie features skateboard champion Kim Matthews, who is working a lame fast-food job helping to support her dad after a family tragedy... But her luck changes when she is hired to be a housekeeper for a loaded family in the Alps. Spoiler alert - this is the best job ever. Also to my fellow Gossip Girl fans, this movie co-stars Chuck Bass. Put this on your Netflix cue and thank us later. 3. Breaking Away - This coming of age film about a group of friends in small town Indiana does not disappoint. And of all 3 movies, it's the most decorated. It won a Golden Globe in 1980 for Best Musical/Comedy and an Oscar for best Writing/Screenplay Written Directly for the Screen. In a nutshell, Dave Stroller - a freak cyclist - just graduated high school, loves the Italian Racing team and is trying to mack on some IU hunnies.